GAANA The Well Known Music Streaming App is Offering The Free Premium Subscription Of 1 Year In Just Rs.99 With PayTm Wallet payment. 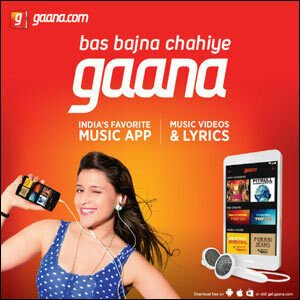 For Your Knowledge gaana is One-Stop Solution For All Your Music Needs. gaana Offers You Free , Unlimited Access To Over 30 Millions Hindi Bollywood Songs , Bollywood Music , English mp3 Music And Many more ..
To Get The Free 1 Year Of gaana Subscription Of Rs.999 In Just Rs.99 Just Follow The Below Steps & You Will Get 100% Cashback In Your PayTM Wallet. 2. Now Visit the Gaana app to redeem the offer. 3. Click on “Coupons” through the settings icon (from an Android device) or Visit gaana.com/redeemcoupon and login with your account (from an iOS device). 4. Enter the code at the time of checkout.